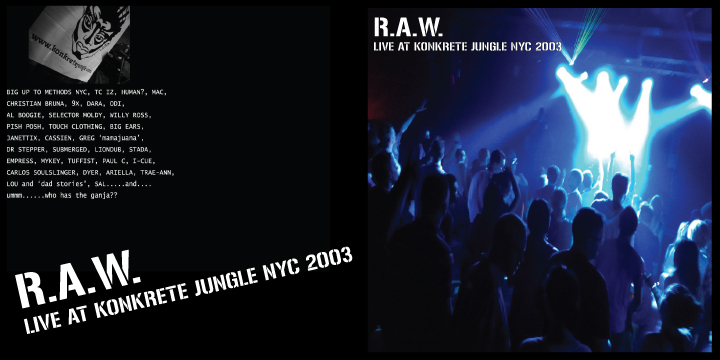 Live at Konkrete Jungle was recorded live at NYC’s longest running jungle weekly during the N2O Records ‘Can’t Diss The Program’ Tour in 2003. With all the mcs in the house, this mix captures one of the best nights ever seen at the historic east coast club. If you’re into high speed ragga jungle and dnb then this cd is for you…the crowd was going nuts and you can hear it in the recording!